What's happening on Kauai? 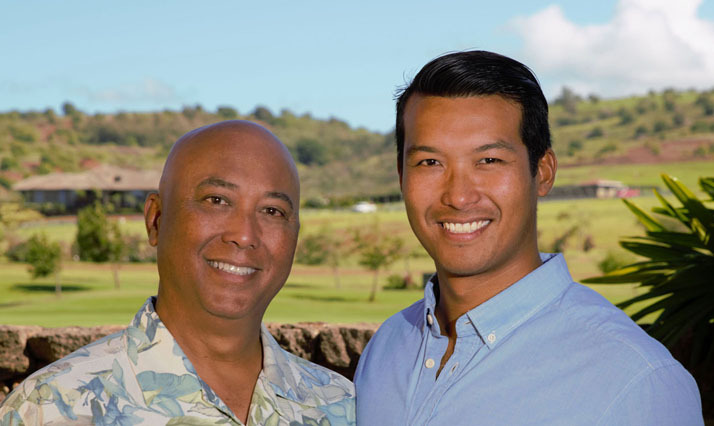 : Christmas Dinner delivery to your Poipu door! 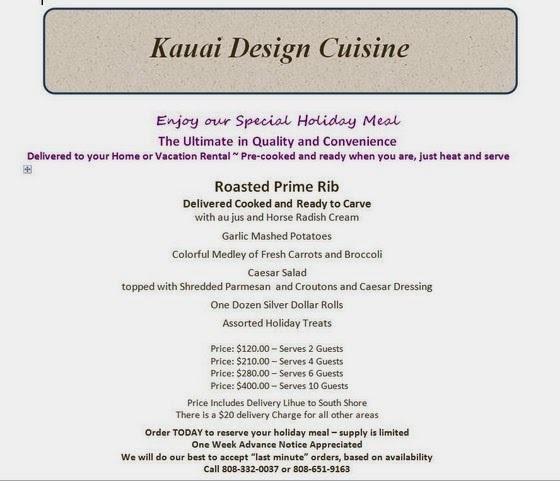 Christmas Dinner delivery to your Poipu door! 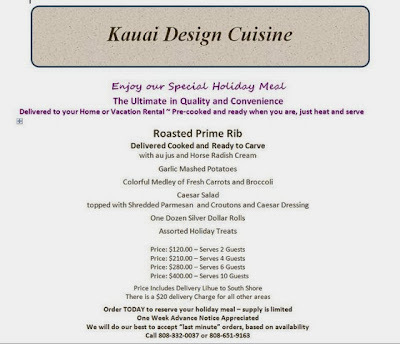 Spend the day at the beach and then have a Prime Rib dinner with all the fixings delivered to your door on Christmas Day!